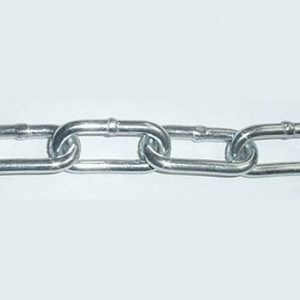 Safety chain is made from a stamped steel. Also known as flat link chain. 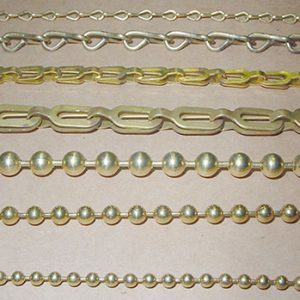 In solid brass, this safety chain is known as plumbers chain. 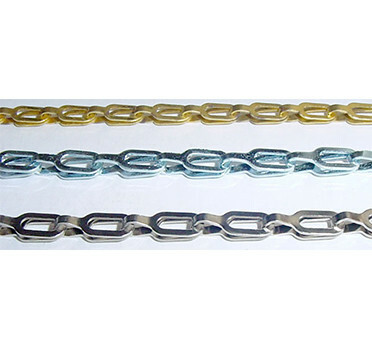 A general utility chain with many commercial, industrial, farm and aerospace uses. Can also be used as a retaining chain for valve and dial caps.